Product code: R186 Categories: Sold Items, Sold Rings. 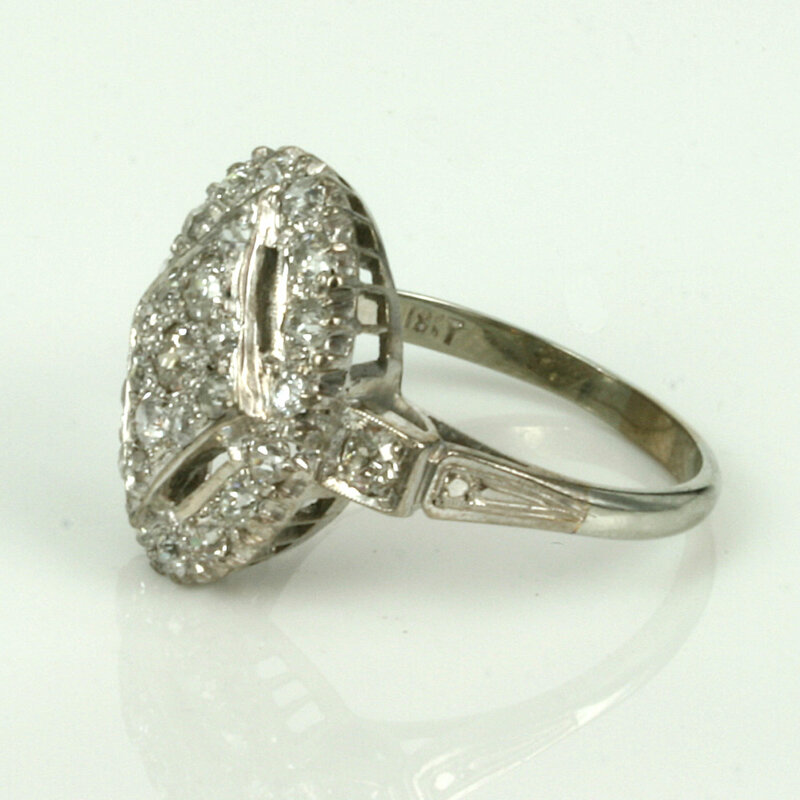 Art Deco rings are just so beautiful and elegant and here is a very attractive Art Deco ring from the 1930’s. Made in 18ct white gold, this Art Deco diamond ring is set with a total of 29 diamonds giving this ring so much sparkle day or night. In the centre is a lozenge shaped cluster design of one diamond surrounded by 10 more diamonds. Then surrounding this lozenge cluster is a further oval designed cluster set with 16 more diamonds. And to finish the ring off on each side is one more further diamond bringing the total diamond weight to 0.98 carats. The oval cluster design measures 19.1mm by 14.3mm wide from left to right or 19.3mm from the end of one side diamond across to the other side. 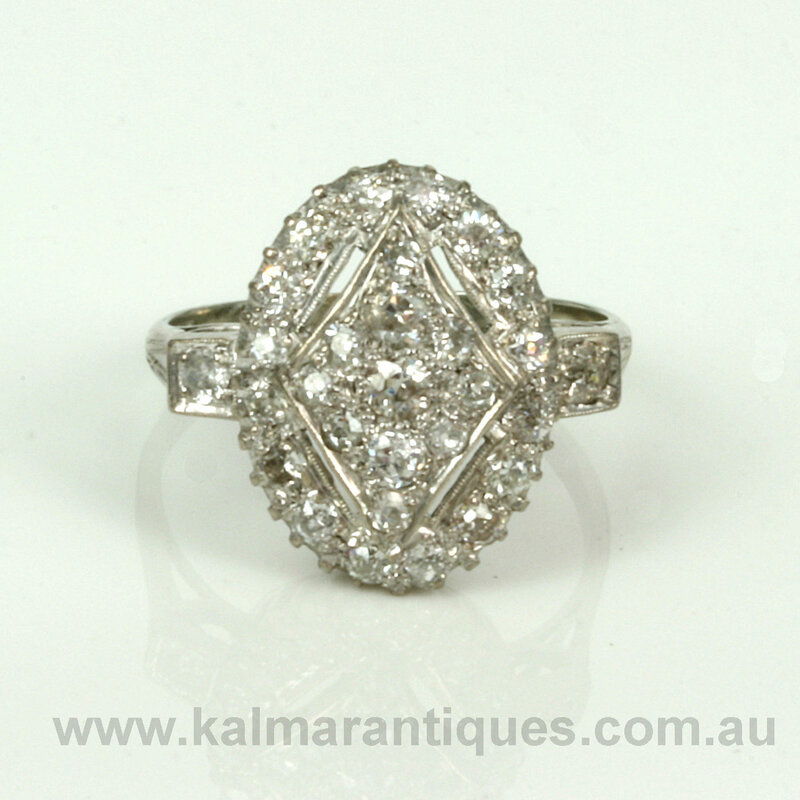 Perfect for any occasion, this diamond ring would also make a fantastic example of an Art Deco diamond engagement ring. 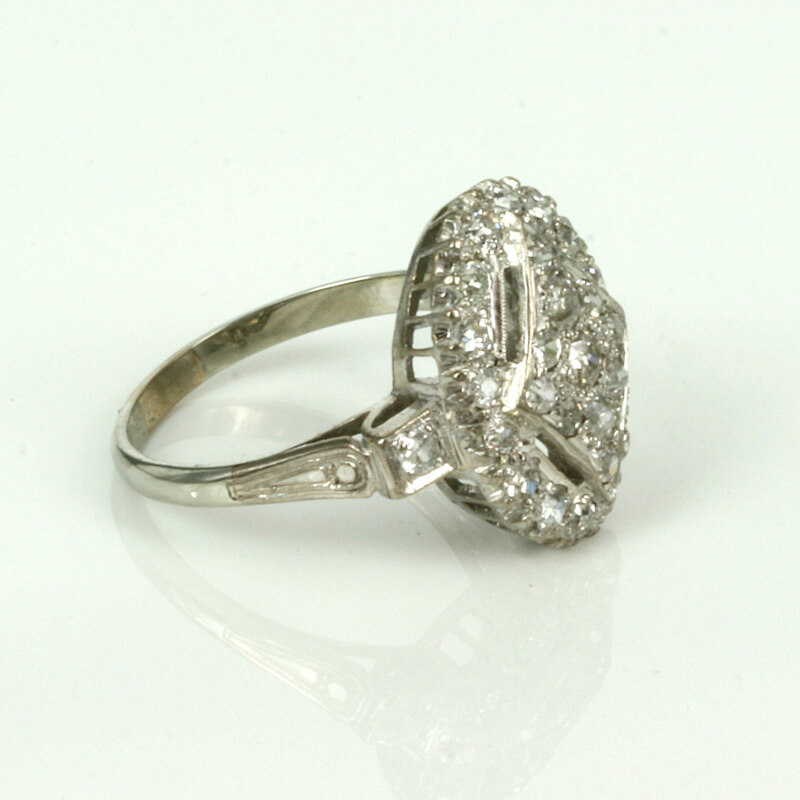 Sitting so elegantly on the finger, this Art Deco diamond ring will always be admired and loved forever.